Here are some terms frequently used when talking about university study. 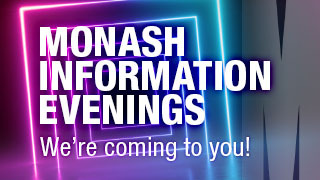 For more information, you can contact Monash University Future Students. Australian Tertiary Admission Rank. The ATAR is an overall measure or 'rank' of a student's performance in Year 12 compared to all other school leavers in the state for that year. The primary selection method for Year 12 students. The grounds and buildings of a university. Monash has six campuses in Victoria, one in Malaysia and one in South Africa. A place in a course that is partially subsidised by the Australian government (for domestic students only). Also known as a CSP. Australian citizens, permanent residents and holders of humanitarian Visas as well as New Zealand citizens are eligible for CSP places. The structure of subjects within a degree over a set time-span. Recognition of previous study, work or life experience. This helps students avoid studying subjects they may have done before in another degree. Postponement of the starting date for study, which guarantees the student a place in a particular course for a nominated length of time, usually one year. The academic title you get when you complete a course of study. For example: Bachelor Degree, Master's Degree. Shorter option for undergraduate study. Can be done alone or in combination with another degree. Year 12 students have the opportunity to study first-year university subjects as part of their VCE program. This may give them eventual credit at tertiary level. The process a student follows when they formally accept their offer of a place in a course. A collection of academic departments of similar disciplines grouped together. Monash has 10 faculties. For example, the Faculty of Business and Economics. A loan scheme by the government to help cover the cost of courses (domestic students only). A course that requires the full cost of tuition to be paid by the student/parent. A loan scheme by the government. In Commonwealth-Supported Places, students may be eligible to defer payment until they start earning a predetermined income (domestic students only). An additional year of undergraduate study to further build on a Bachelor degree. 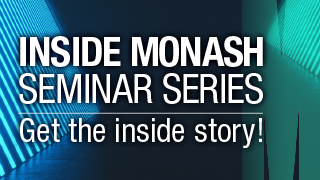 The transfer from one Monash University course to another Monash University course. Organised, formal instruction in a large classroom or lecture theatre. It is usually in the style of a talk and/or presentation, delivered by an academic. When selecting students into courses there will be a group of students at the top of the list of applicants who have the highest ATARs and therefore will be offered a place in the course. Usually 80% of offers will be made to this group. Selection officers will then look at a range of applicants and take into consideration factors other than ATAR (such as applications for special consideration) to determine which students will be offered the final 20% of places. This remaining 20% of places is known as the middle-band. A university officer responsible for the selection of students into a course. A less formal session of instruction than a lecture. Held in a smaller classroom with a smaller number of students, it usually involves a greater level of contribution and interaction. The type of study followed after secondary school. 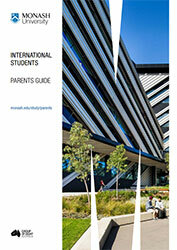 The first level of tertiary studies at university, including Diploma or Bachelor Degree courses. A prerequisite for postgraduate study. Victorian Tertiary Admissions Centre. The administrative body that manages applications for undergraduate courses for Australian residents. For Victorian high school students, nearly all undergraduate course applications are managed through VTAC.